The episode begins with Suhaani asking Akriti to take the contract for the ticket. Akriti asks why is she doing this and Suhaani says she can’t risk her son’s life for a contract. Akriti gives the ticket, and Suhaani thanks her and leaves. Rama comes there and provokes Rags for falling for Menka. Rags gets angry. Yuvraaj says on phone that he will reach hotel and girls come and says he has a gift. He sees a sky lantern and remembers Suhaani. Yuvaani and Krishna ask him to fly it and he gets sad. Suhaani reaches the Allahabad and takes a taxi. She asks him to take her to the chowk. The taxi man asks her is she local and she sees sky lanterns. He says kids fly all this, and she says she is a foreigner. She goes and meets Yuvaan and says she knows some good doctors. Yuvaan says he is fine by seeing her and says he missed her. 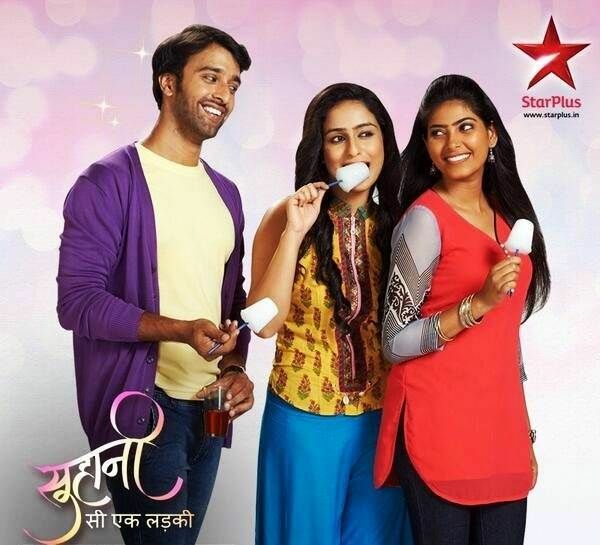 Suhani asks about Sharad and Yuvaan says how he didn’t give him clothes after a bath. Suhani asks him to pack his bags. Yuvraaj takes Yuvaani to the same hotel, and Yuvani says she must look the best as Dadi told her to be. They play radio and hear Suhani’s name and change it. They enter the hotel, and Suhani is right in front of them, and Yuva’s purse falls, and she bends, and Suhani doesn’t see her. Yuvaani asks Yuvraj to go for the meeting and he asks is she sure on not coming with him. She says she will stay here. Suhani walks there, and Yuvani sees her talking on the phone. Menka asks Rags to manage the kid and says she is going to the parlour with Dadi. Soumya interrupts and Dadi asks Menka to stay and handle the child. Rags ask Soumys to mind her own business. Krishna looks on. Yuvaan says he will give the ball to Sharad and throws it. The ball hits a boy, and he says he will find who has hit me. Yuvani and Yuvaan collide. He runs away as she starts scolding him. Krishna calms the boy, and Rama asks why did they feed chips to him and Krishna says he didn’t feed any chips. Yuvaan gets the ball and says sorry to the boys. The kids tease him, and Yuvaan challenges them for a basketball game. Yuvaraaj sees Yuvaan getting bullied by the boys. Stay tuned for latest SSEL news and updates.